Earliers tomorrow mornings me and Baz jetters off backs to Japans, but we isn't hangerings around there too longs, as we is justs in Naritas hairyporter to catches our connectings flighter over to Americas. I was so excitereds to thinks that I will have flyereds two thirders of the ways around the worlds already on this tripper than I decidereds that the bestesters ways to celemabrates would be to has roomservicers brings me up a tubber of ice-creams. 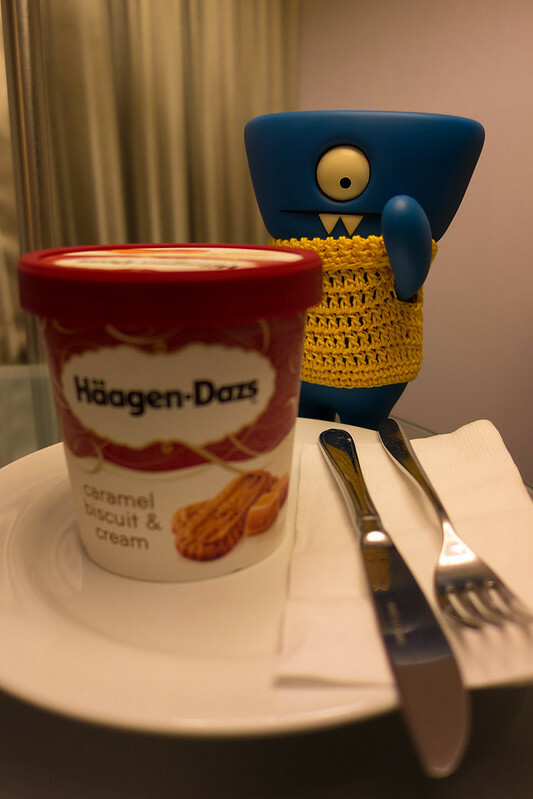 Wells, the ice-creams arrivereds, but I can only assumes that the roomservicer who bringereds it ups to my hotels room has never hads ice-creams before in their lifer, as they suppliereds me withs a knifer and forker, but no signs of a spooner!